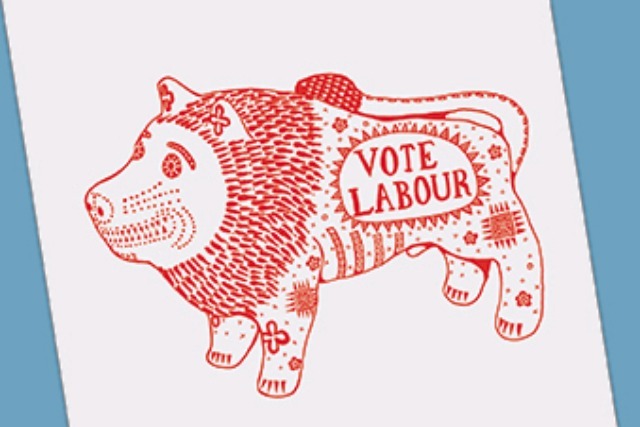 Artist Grayson Perry has created a limited edition tote bag bearing a red print of a lion and the words 'VOTE LABOUR'. Designed to support the political party in the run up to the election, supporters could get their hands on the designer gear by donating £19 to Labour until midnight last night. In an email to supporters, the Turner prize-winning artist, who is famed for his ceramic vases, said: "I've been a Labour supporter my entire life and I really wanted to help out with the 2015 election. So I designed this bag especially for Labour members and supporters. "There's a serious point to all this: individual donations from members and supporters like us are crucially important to a Labour victory next year," the cross-dressing potter concluded. The Second Selfie: Unfettered narcissists or masters of their own identity? What does Brand Britain stand for today?